For the past 2 years, COCo has participated, alongside thousands of other organizations, in strike activities demanding an adequate level of funding for community organizations in the province. The concept, and execution, of a community sector strike is novel and unique, and we’ve been excited to see the FRACA taking on this question with such fervour. This year, FRACA is consulting with community groups in an online survey and during an inperson forum on November 23rd on the different concerns, needs and questions community groups have about strike activities moving foward. 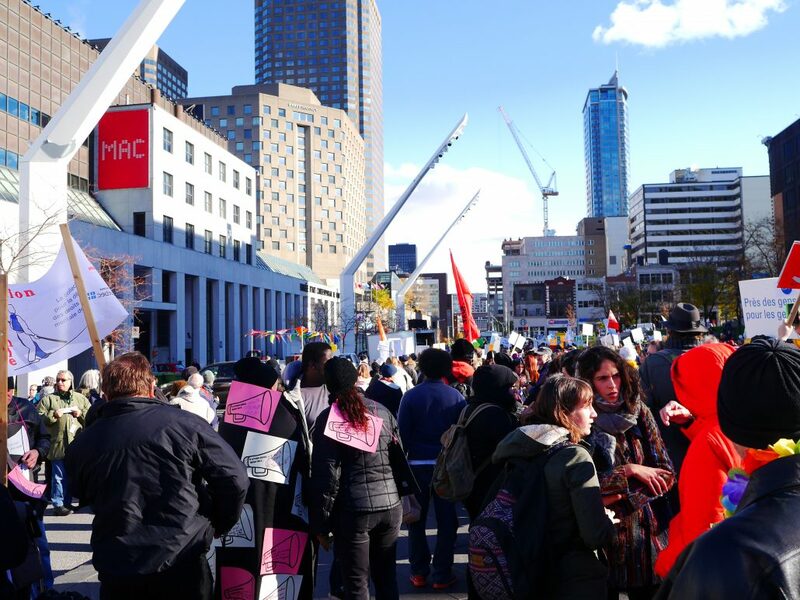 On the table are multiple proposals, including one of a rotating strike throughout different regions of Quebec during the time the provincial budget is being debated, and increasing strike activities if the demands are not met. All of the different proposals on this issue can be found here, in French. We’re hoping to send someone for the forum, on November 23rd, and would love to see you there. In the meantime, we’re working on translating some of the strike materials so our english-speaking groups can more easily parse the issues. You can register for the forum on the 23rd here, and we have attached the agenda. The facebook event is here. The online survey of organizations can be found here.